This conversation with my dear friend, fitness creator and entrepreneur could not be more timely. Yes, we talk about fitness, health and our experience within that amazing industry, but perhaps, more importantly, we talk about health – the health of our mind and how sometimes it can seem to become a foe versus a friend. We begin on a light note reminiscing about how we first met and David’ start as a New York actor, who found his way into fitness and eventually became a pioneer with his invention of the BOSU. As David rollerbladed everywhere in NYC, his feet became extremely weak from always being in roller blades and that led to a back problem. So that led to David training with a stability ball, then standing on the stability ball and by constantly falling off the stability ball he asked himself “what if I cut it in half?” And then the Bosu ball was born. David shares what it took to get his product out into the world. He believes that three trains have to leave the station for an inventor, entrepreneur and especially one that’s on a budget to have a chance of succeeding. The first one is your intellectual property, the second is the manufacturing, and the third is the marketing. 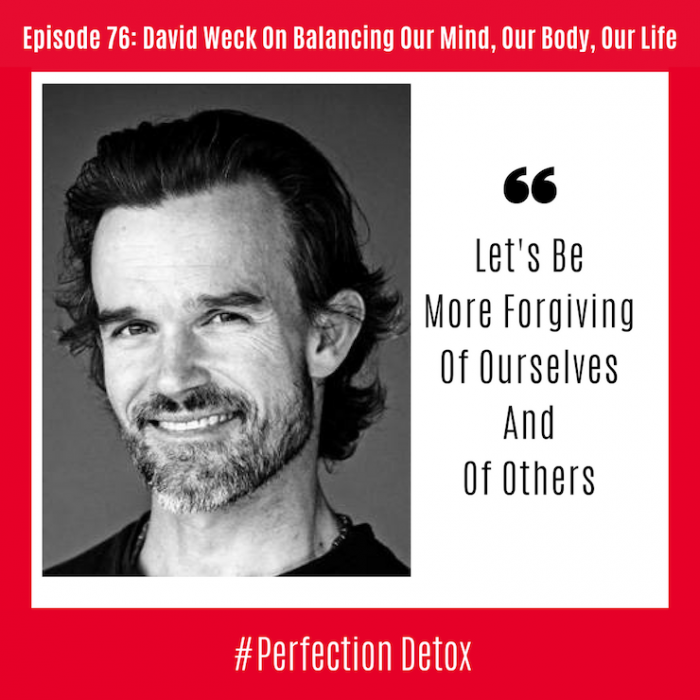 David discusses the fact that not only is there a physical benefit that comes when we work on our balance but there is also a psychological benefit. The more physiologically confident we are at the fundamental level, the better you able better able we are to stand up, express our ideas, opinions, and share our knowledge with other people without the impediment of feeling off balance. At 34:50 We move into talking about the importance of finding balance and sustainable balance within our own health and especially the relationship we have with our mind. We discuss the idea of the conventional churn and burn of the grind of true life, the life that everybody portrays, and then the shiny cover of the book that we all tend to want to project. David shares his struggles with anxiety and how it led to him self-medicating from an early age with alcohol. We travel through his journey of finding a way to being able to operate in the world and the extreme measures it took for him to rebalance his mental state to one that could function well on a daily basis. We both discuss our own struggles and how it took medical intervention along with the assistance of seasoned professionals for us both to find peace with ourselves and the lives we live today. David’s long-term mission is to fundamentally enhance physical education in an effort to stem impending societal issues for a better tomorrow. He believes health care should begin with movement education. David is grateful to all the talented and dedicated fitness professionals who use his products and programming to help others achieve better balance, performance, and health. He currently conducts private training for serious fitness enthusiasts and athletes and offers consultations for aspiring inventors and entrepreneurs.